The Internet enables anyone to say, write and publish practically anything, and while the free exchange of ideas is a founding value of our nation, sometimes people go too far. Upset customers, vengeful bloggers and even ill-informed journalists post inaccurate, unfair, unverifiable or unbalanced material online, and it can severely damage the reputation of an individual or company. The defense is typically to either ignore or suppress. Ignore the offending blog post, article or video — hoping few will see it and perhaps even hoping that it might go away. Or suppress by engaging an online reputation management firm that promises to push down (suppress) negative search results on Google and other search engines. But are there other options? Yes, and removal is at the top of the list. 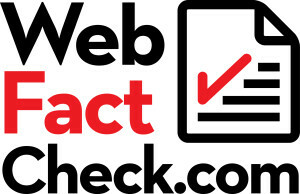 Through our affiliate reputation management company, WebFactCheck.com, we evaluate online reputation issues to help you determine your best course of action. We review online problems such as defamatory blog posts, negative reviews or other forms of damaging online content and offer several tools and options for your consideration. David PR Group is a online reputation management company that assists companies and individuals with all manners of online issues. Firm president, John P. David, is a nationally recognized expert in online reputation issues. His articles on this topic can be found in The Huffington Post and PR Daily. From dealing with negative reviews and online complaints to defamatory blog post and negative online news stories, David PR can guide you through the process to have difficult content removed from search results or removed from the Internet entirely. We offer a free consultation and in many instances we can remove negative content on a success basis — so our clients don’t pay us unless we get the content removed from search results. Call us at 305-255-0035 for more information or to discuss your online issue. Or fill out the contact form below and we will get back to you right away.